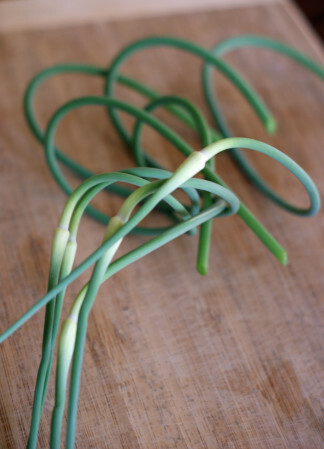 Garlic scapes are kind of a long, thin, curly stem that comes out of the top of garlic plants, and will eventually become the flower. I didn’t really know what they were until a couple years ago, mostly because I never grew garlic. We’ve never picked or eaten garlic scapes. 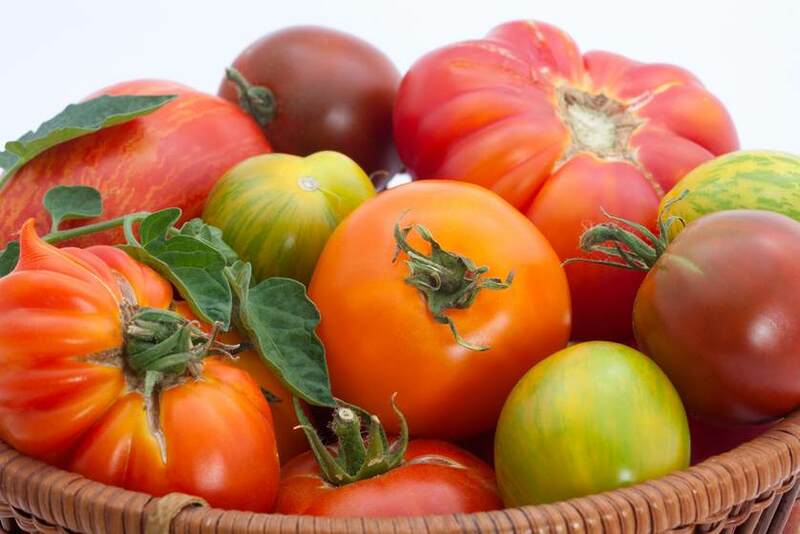 They show up at some farm markets in the spring, but they’re not around for long. Fortunately, I started some garlic last fall, so we have an abundance of scapes right now. I think they can be used similar to green onions or garlic – they don’t quite have the full garlic flavor, but it’s enough. And I find that they’re quite spicy raw. So, I picked some last night, along with some peas and Swiss chard. Cut the scapes into 1-inch pieces, then saute with the peas and chard in a little bacon grease (my new best friend) for a couple minutes. 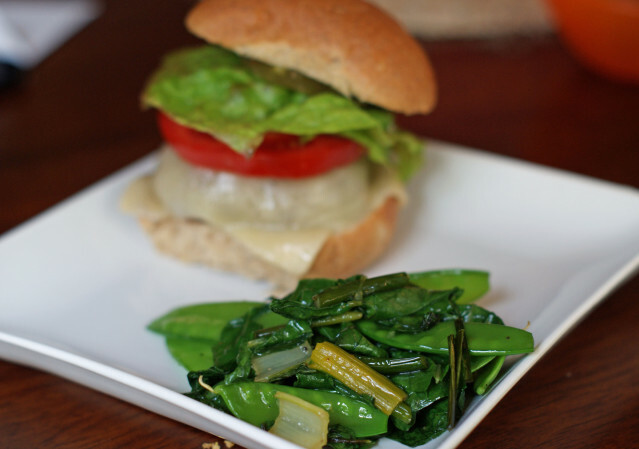 I love the simplicity of meals when the garden is producing. You don’t need to do anything fancy – just go out and pick a couple different things and toss them into a pan for five minutes and you’re done. And it’s not boring or flavorless either. With this, we had the crisp freshness of the peas, the subtle garlic flavor of the scapes (which really mellow out when they cook), and the earthiness that comes with the chard. Yum.